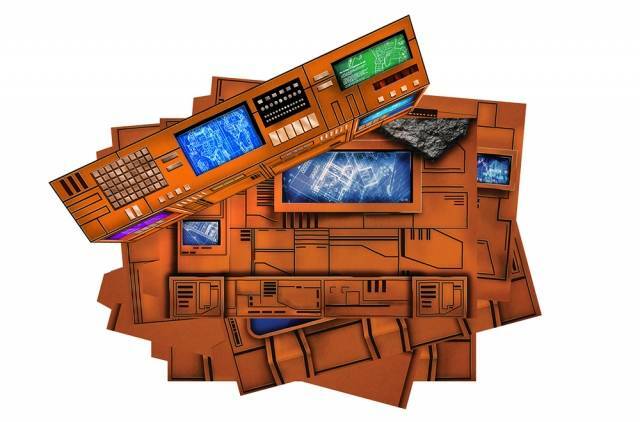 The ultimate backdrop for your Transformers! Scaled to 6" figures, this backdrop includes 6 highly detailed different panels, each 20" x 12" (50 x 30CM) in size! Furthermore each piece can connect together to form a diorama nearly 10' wide! Works great with display case shelving of a similar size. 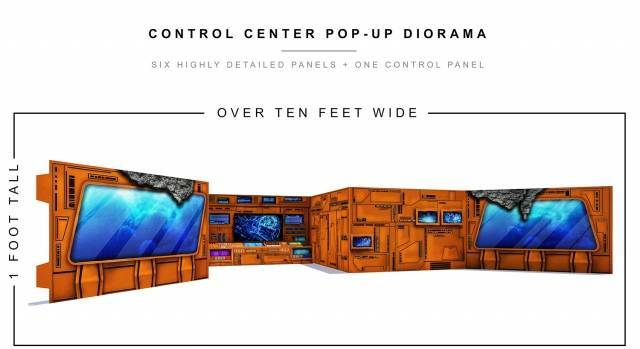 Control Center Pop Up is a must have for kids and collectors alike. 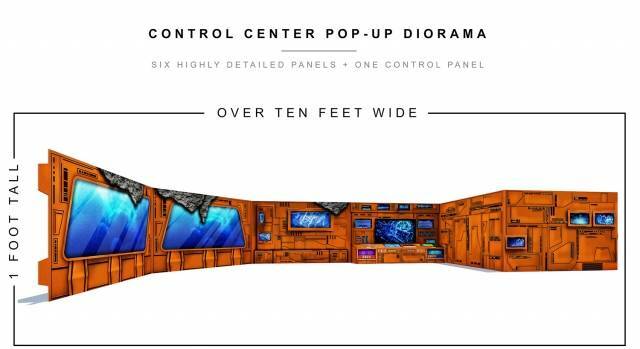 Control Center Pop-Up allows you to create the ultimate environment experience for your action figures. For the first time, you have full control over your Control Center Pop Up with six highly detailed connecting backdrops. 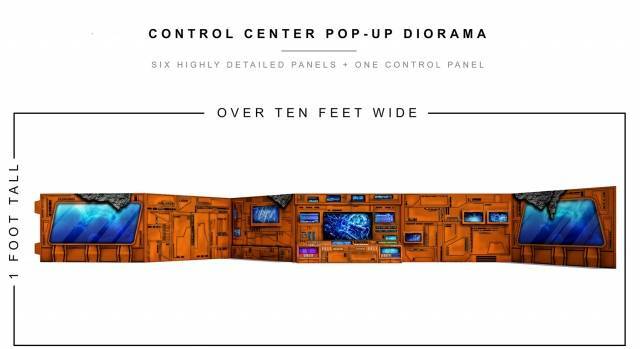 Control Center Pop-Up is to scale to your favorite action figures. Features This knockout, highly realistic Control Center Pop-Up can be combined with other action figures to stage the ultimate action sequence. Move the panels around and recreate in seconds. 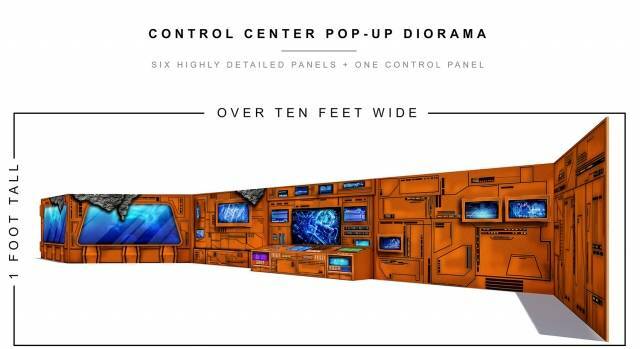 Possibilities are endless with the Control Center Pop-Up! You have the option on connecting multiple Control Center Pop-Ups for an even bigger setup. - This product is to scale to all 6" action figures/Transformers! - When panels are placed side by side 126" wide and 12" tall. A company that apparently have made or are still making wrestling rings, cause thats the logo they are using. The pictures are okay, but if your not entirely familiar with how the arks interior should look then you too will have a problem. It bothers me that some windows looks like having water on the outside, weird cause what i can remember and see in the show its supposed to be stuck in a rock. I was expecting a strong cardbard such as fiber board, but nope.. It was made from some cheap 2-ply cardboard. I don't mind the quality resolution, but I don't recommend paying 35 dollars for this which is probably worth 9 dollars. Could have been better. Should have been better. Low Quality resolution on the walls with Higher Rez on the Screens and even Higher rez on the ROCKS. Yeah I said rocks. All just seems like a pasted together picture. 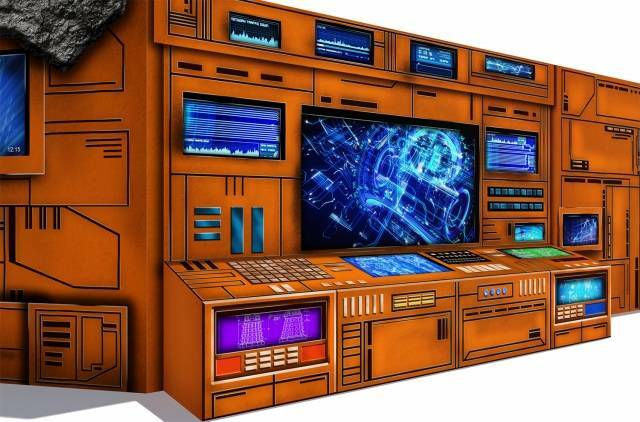 I found it funny how on the screens they have pics of a Dalek from Dr. Who, a HG 1/144 Strike Gundam ver.2.0 Blueprints off Deviant Art, a G1 Grimlock pic, and some random robot. Makes one wonder if they are authorized to use these? Add in the cheap website placement in Bright white on one of the larger screens and just seems cheap.